When autumn blows in, cider comes out – solo and in cocktail glasses across Vancouver. 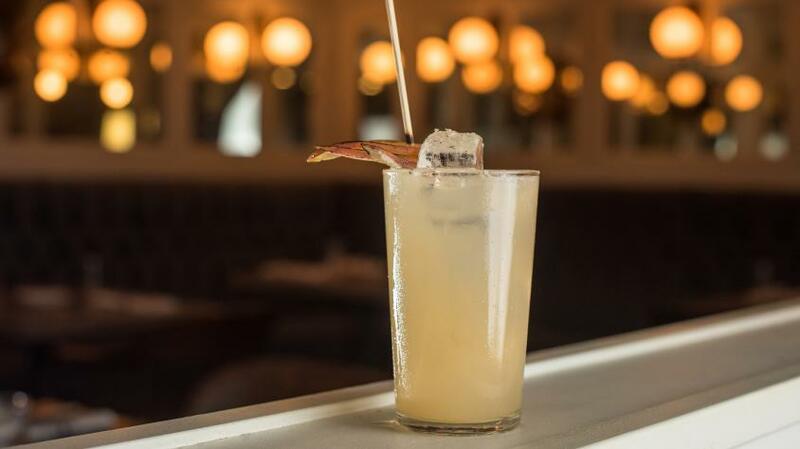 Read on for cider-inspired drinks served at some of the city’s top cocktail haunts. Harvest Martini (La Pentola). Fall harkens back to simpler times: jumping in a frothy pile of yellow-and-red leaves, feasting on comfort food, inhaling the scent of cinnamon and nutmeg. One sip of this cool-weather cocktail will bring all those memories back at once, thanks to a heady combination of fresh pear cider, rum, amaretto, lemon and vanilla. Add an elegant sprinkle of spice sugar (ground mace and allspice fused to crystal sugar with an absinthe mist) and you’ve got yourself a fall getaway in a coupe. Poperin Pear (Hawksworth). This golden-hued, gin-based cocktail combines the flavours of orchard fruits and herbs (courtesy of Grey Goose Poire and yellow chartreuse) with tangy apple cider and a touch of creamy honey – ideal for snuggling in an armchair and watching the autumn rain. Wannabe Cocktail (Royal Dinette). Dispense with the delicate: this rich drink is full of bold flavours like pear sake, house-made ginger beer and apple butter. It’s poured over ice, then topped with cider, a grated tonka bean and sliced apples for a refreshing, festive cocktail that will leave you longing for the holidays. Beach and Bark (Juniper). Inspired by the barks and spices found in various liqueurs and bitters, this aperitif-style cocktail is perfect for drinking on a log facing the beach (bundle up!). Sherry builds the base while Becherovka (an aromatic, bittersweet blend of herbal bitters) and sweet Suze liqueur add complexity and layered flavours. Top with Merridale Cider and you’ve got yourself the ideal cool-weather refresher. Esmerelda (Boulevard Kitchen & Oyster Bar). Apple-tini: fun to say, but so decades ago. This modernized, upgraded version shakes up fresh apple and lime juices, apple pie/green tea syrup, vodka and green chartreuse for a delicate, herbal-tinged drink that’s in a class all it’s own. How do you like them apples?